· Vibrant, High Resolution LCD Displays from 15" to 20"
The Chassis Monitor Industrial™ has been uniquely designed to satisfy the needs of System Integrators/VARs and OEMs/End Users alike. General Digital has achieved this lofty goal by designing the Chassis Monitor Industrial™ with elegant simplicity, modular adaptability and cost sensitivity. Additionally, the Chassis Monitor Industrial™ is designed to operate from a ingle +12V regulated source that can be supplied by the customer, or may be purchased directly from General Digital™. General Digital™ integrates the latest advances in LCD display technology rom 15.0" to 20.1" (diagonal viewing area) panels. These panels provide the equivalent viewing area of much larger CRTs. All of our active matrix TFT LCD screens offer a minimum of 262,000 colors, a wide viewing angle, and fast response time (suitable for live video). We qualify multiple sources of supply to ensure product availability and long life. 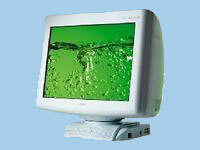 All standard Chassis Monitor Industrial™ units support non-interlaced analog video (separate, composite, sync-on-green). Interlaced video is supported as a standard feature on all models. Also supported is STANAG 3350 A analog RGB interlaced sync-on-green video. 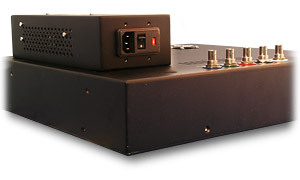 The Chassis Monitor Industrial™ can be optionally configured to support NTSC, SECAM, PAL and RS-170 video in composite video or S-video format. The response time of the active matrix TFT makes it the ideal platform for live video input. 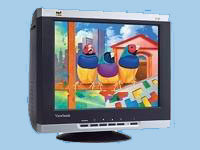 Internal to our LCD monitor is an LCD controller that converts analog video signals into the proper digital signals required to drive the display. 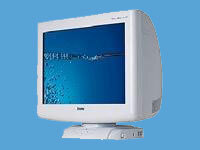 It is the LCD controller that enables the LCD monitor to function as a direct replacement for the traditional CRT. The controller provides intuitive operation of its controls and calibration through the use of a membrane pad and a series of on-screen menus. All models support the following display image controls: auto and manual setup, brightness, contrast, horizontal position, vertical position, tuning, size, individual RGB adjust, image expansion on/off, system information, run-time counter, and signal level. Advanced features are supported on a selective basis (image rotate and invert, audio controls, advanced scaling). General Digital™ protects your display by adhering a piece of glass to the surface of the LCD panel to guard the liquid crystal material from making direct contact with foreign objects. 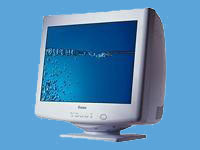 In addition, a sealed gasket is installed between the display and bezel to protect the monitor’s electronics from dust, liquids (e.g., spilled coffee) or other debris. 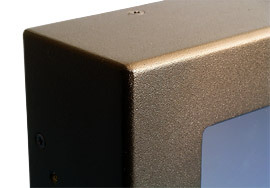 The industrial enclosure of the Chassis Monitor Industrial™ protects the monitor’s display and electronics and facilitates a variety of mounting schemes (side mount and standard VESA mount). The Chassis Monitor™ product line is also available as a kit, panel mount or rack mount device. General Digital™ encourages relationships with Original Equipment Manufacturers (OEMs) and other organizations, and is willing to maintain your company identity (private label) on our products. Please speak with a Sales Engineer for additional information. A multitude of options and accessories are offered in support of all General Digital™ products: vandal shields, EMI/RFI shields, antireflective/antiglare coatings, touch screens, power supplies, keyboards/pointing devices, rack slides, video/serial/power cables and more. Please speak with a Sales Engineer or visit our Options and Accessories page for further details.